Mr. Valentino's list of honors is already long, and includes accolades such as France's Légion d'honneur, presented to him in 2006 by then-President Jacques Chirac. Last month, he added another major award to the tally, receiving the Golden Plate from the American Academy of Achievement. The only European fashion designer to have earned this prestigious prize—and the third Italian, after Nobel Prize winners Dr. Rita Levi Montalcini and Dr. Carlos Rubbia—Mr. 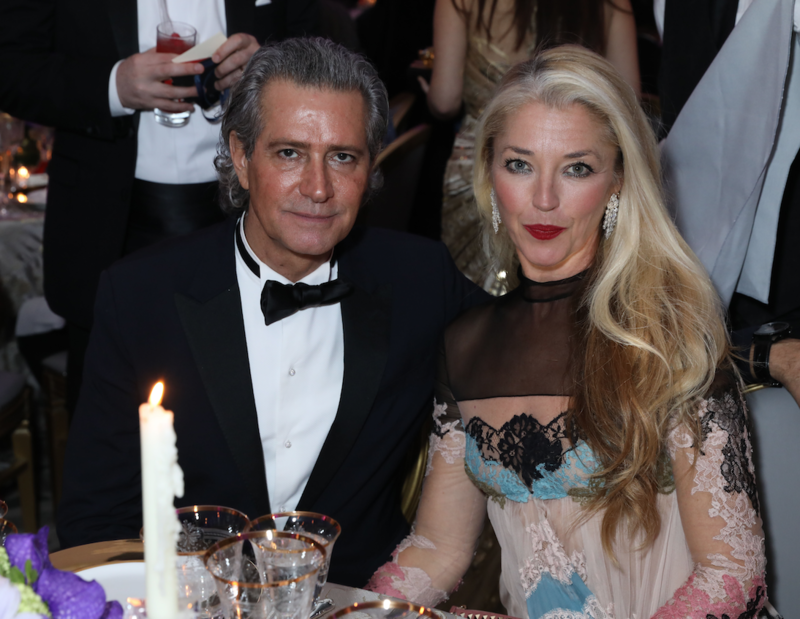 Valentino was joined at the ceremony in London on October 18th by a crew of confidantes, including current Valentino creative director Pierpaolo Piccioli, supermodel and longtime friend Eva Herzigova, Valentino "tribe" members Carlos Souza, Bruce Hoeksema and Princess Rosario Saxe Coburg, and of course, Mr. Giammetti. The American Academy Achievement is a non-profit founded in 1961 with the aim of "sparking the imagination of young people across America and around the globe by bringing them into direct personal contact with the preeminent leaders of our times." Previous Golden Plate recipients include former United States presidents Barack Obama and Bill Clinton, the anti-apartheid activist Desmond Tutu, Apple founder Steve Jobs, director Steven Spielberg, and cultural icons such as Elizabeth Taylor, Muhammad Ali and Bob Dylan. This year's recipients were equally impressive and eclectic: Alongside Mr. Valentino, honorees include current and former winners of the Nobel Prize for Literature Kazuo Ishiguro and Svetlana Alexeivich, Olympic gold medal-winner Simone Biles, Pulitzer Prize-winning photojournalist Lyndsay Addario, Tony Award-winning theater director Bartlett Sher, and Dr. Jennifer Doudma, co-developer of CRISPR gene editing technology. Needless to say, this was a gala event. 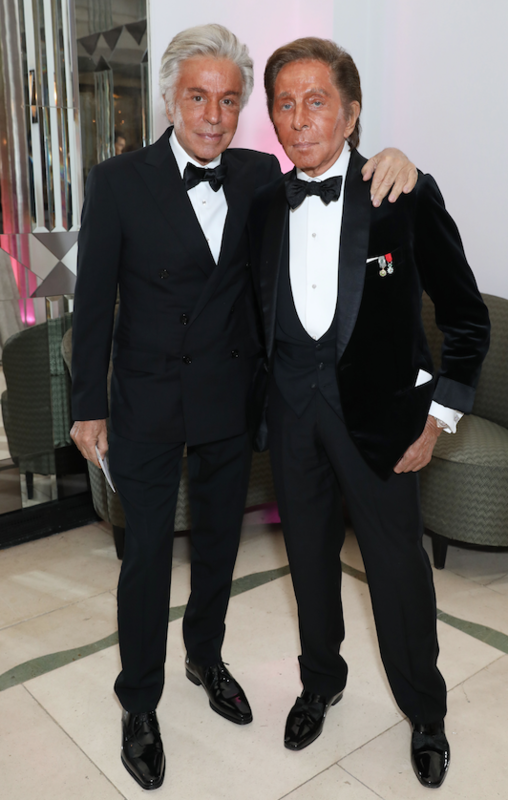 But Mr. Valentino got to enjoy a more intimate celebration of his honor, as well: The night before the ceremony, Mr. Giammetti threw Mr. Valentino a surprise party at his London home. Though a good deal less splashy than blockbuster fetes like the 45th Anniversary party in Rome, this one was no less memorable, marking yet another capstone in Mr. Valentino's uniquely remarkable career.